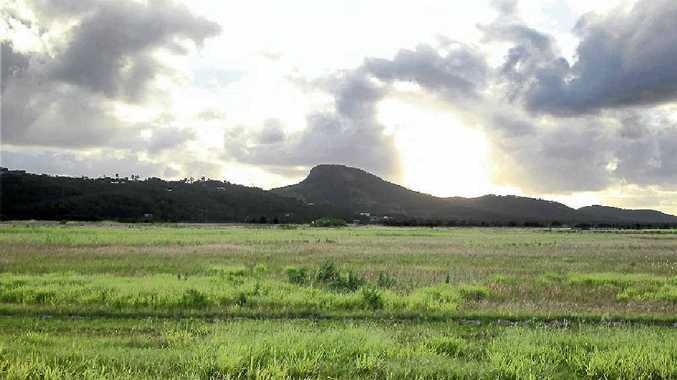 A COMPLEX trail of company restructures and share ownership blinded by trusts shields just who scored a $2.68 million windfall from Sunshine Coast Council's purchase of piece of cane land at Valdora. What is clear is that Tewantin businessman Paul Akerman's family trust secured a $400,000 profit in a little over 18 months for his involvement in a solar farm proposal that had attracted no commercial interest. Title deeds show the flood-prone block passed from farmers Col and Lyn Turner to Gruenenergy for $770,000 and by direction to Akerman Enterprises for $1.1 million on the same day. In May this year Council paid $1.65 million for the property and $2.68m to Gruenenergy for the right to buy the land from Akerman Enterprises. Gruenenergy held a 30-year lease and an option to purchase the Yandina-Coolum Rd cane land. Mr Akerman, a former West Australian earth moving contractor, said he was introduced to Gruenenergy through family connections and learned they were looking for investors to buy land for a commercial solar farm project. Mr Akerman said the plan originally had been to roll out solar farms in a number of different areas. As an earth mover he saw both an investment opportunity and a chance to help build what he termed the "so-called great solar roll-out". In the end he said he just wanted his money back, having decided not to take shares in the venture via a convertible note he held. While Akerman Enterprises was a visible $400,000 winner from the deal, just who pocketed the $2.68 million council paid Gruenenergy to purchase the right to buy the land is not so certain. Three companies, two of which were deregistered last year, and two individuals - Mathew Alan Taylor of St Kilda in Victoria and Adam Peter Wiseman of Albury in NSW - are listed as Gruenenergy shareholders. A shareholder in the third company, Jarwil Pty Ltd, based in Yarrawonga in Victoria, Shane Douglas McBurnie, is listed as a Gruenenergy director. Neither he, Mr Taylor nor Mr Wiseman returned messages.